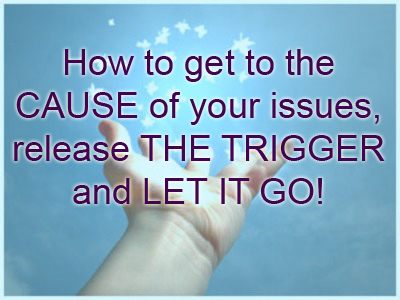 How to get to the CAUSE of your issues, release the TRIGGER and LET IT GO! As we are navigating through the massive energies of the TETRAD bombarding our planet and us, much of the old experiences, beliefs, understandings and “knowledge” iscoming up for clearing. I myself have found that these past few weeks have been quite intense with my thought process and energy level fluctuating nearly by the second. One moment I was flying high, another falling rapidly into abyss. Although the ride wasn’t fun at all, and continues to challenge me daily, I am ETERNALLY grateful to my guides for allowing me this opportunity to release everything. I know that ALL of you are going through the same clearing. What I want to share with you is a breakthrough that I’ve had yesterday, in hopes that my experience will help you get to the root of the cause of your own issues. To explain how this clearing and letting go process works I must share this personal experience with you. For as long as I can remember I have been having issues being next to the ocean/sea at night, especially if there was a boardwalk and it was a windy day and many people around. I did not understand why it was, but each time I would find myself near the ocean in the evening, my heart would race, my whole body would go into anxiety mode, it would be very difficult for me to breath and all I kept wanting to do was run back into the house and close the door behind me. I have tried absolutely everything under the sun, all sorts of therapies and remedies. NOTHING worked. I was stuck talking to myself and explaining that it’s okay, that I can do it, and instead of enjoying a nice walk next to the ocean, which is supposed to be incredibly relaxing, as that is what most of us think about when we think about a vacation, a beach, palm trees, warmth, etc., but instead this experience would send me into panic mode. I could never understand what was happening. Why was I bothered by this so much. I kept thinking that perhaps it was too hot, or too cold, or I was allergic to something, or I was tired, or there were too many people, or this, or that.. or perhaps I ate something.. all these thoughts would run through my mind trying to figure out what was it that was causing all these issues instead of enjoying the moment. Until… I finally stopped in the middle of my walk, forced myself to sit down on a bench and asked my guides “PLEASE SHOW ME WHERE DID ALL OF THIS BEGIN”… Allowing the image to just float to me, I saw myself standing next to the ocean, with warm wind blowing through my hair, in the evening, surrounded by people, anxious, frightened people, all waiting.. waiting for hear the answer.. waiting to hear the magic words.. When I was about 11 years old my parents and I left the country where I was born with only a suitcase full of clothes. Leaving absolutely everything behind, including relatives, friends and everything that was dear, my parents decided to make this move in hopes of giving us their children an opportunity to have the life that they knew for a fact we would not have in the country that I was born in. We left without any way at all of going back. All the papers that gave us the right to live in that country were taken away, all contact with relatives and such was prohibited, nothing of value was allowed to be taken out of the country. Everything except the clothes on our backs pretty much, had to remain. And so without knowing where we would end up with hopes of getting to America, we left. Back then there was no direct link between the two countries and we ended up traveling through a country where there was a sea. We did not know where we would end up, there were a few countries that wanted to take refugees like us, but we did not know which country would open its doors to us, and where we would end up. It was there, in that country that this TRIGGER has occurred. Each night, we would go to the sea where representatives from various countries would gather all immigrants and shout out their names. Each night my parents and I anxiously awaited to hear our name being called. Hundreds of people would gather in hopes that this would be the night they would finally know where their new home would be. Each night anxiety overflowed the beach, panic, sadness, disappointment. ALL of this energy has greatly affected me; however being a child I just stuffed all of this inside my body without consciously being aware of this TRIGGER’s effect! Neatly and efficiently my subconsciousness has stored this experience in my body erasing these feelings from my consciousness so that I could move on with my life and not think about it! However, the TRIGGER remained! And each time I would find myself next to the ocean when the conditions resembled that exact moment, all of these feelings, and thoughts of anxiety and panic would surface! ALL THIS TIME I was being influenced by my subconsciousness, all this time I would not be able to enjoy the sea because of this one TRIGGER that set there ! And when I finally realized this, when I finally ALLOWED myself to go there, to relive that moment and most importantly RELEASE THIS MOMENT, be GRATEFUL for it and LET IT GO.. it was then that I set there on the bench staring at the sea, feeling the wind in my hair, and for the very first time in YEARS smiling completely at peace, and awe that my guides have finally allowed me to UNDERSTAND and RELEASE the TRIGGER! I have since replaced the trigger with another one, which is of PEACE. It took some time for me to truly embed this new trigger into my sub consciousness, but it worked. Once again the reason I’m sharing this very personal experience with all of you is to bring an understanding to you that it is POSSIBLE to heal yourself and change your life simply by ALLOWING yourself to GO THERE, to go to the deepest, even maybe most darkest moment of your life and LET IT GO. Even if you may not remember the experience, even if you may think looking back that it was silly, at the time that your TRIGGER occurred that is not how you saw it to be. At THAT moment it was traumatic, and that is why its sooooooooo important for you to GO BACK and RELEASE IT. So for all of you who are having various ailments I am asking you to please give this a try. Sit down relax, let the endless chatter of the day leave your mind. Think of the ailment that is troubling you, and say this “MY DEAR GUIDES, PLEASE SHOW ME, TAKE ME BACK INTO THAT MOMENT WHERE THIS TRIGGER BEGAN” Then and this is VERY important, ALLOW yourself to go there, even if you begin to feel the pain, even if you begin to cry, none of it matters as you must allow yourself to feel being there, see things and now LET IT ALL GO say “RELEASE THIS TRIGGER! It is no longer positively serving me. I wish to LET IT GO” Then open your eyes and quickly bring yourself to the NOW moment of time. And finally allow yourself to stay in the moment of NOW, enjoy it, savor it. That is all. Either right away or in a little bit of time, but you are going to feel better!!!! So please ALLOW YOUR GUIDES TO HELP YOU, TO HEAL YOU, TO BRING YOU INTO EQUILIBRIUM! I hope that this will help many of you. I love you all! Wishing all of you HAPPY RELEASING AND LETTING GO! Wow!!! Iam so glad you let that one go!!! O Dearly beloved one Anna……this is so very sweet, and impact full….. I do so love how ‘you’…go in to the ‘field’….and request….and call…. and most certainly ‘find’…..all that is……and all that is you…..
What ONEders of magnificence you share……in love…. The posting is so sweet. It definitely helped me a lot as I have been in that feeling recently. I was thinking to write to you when I saw your messages there. I just followed your instructions about ‘let it go and release’ the ailments. It did work for me, and I feel better now. I’m so grateful to get in touch and keep a connection with you. 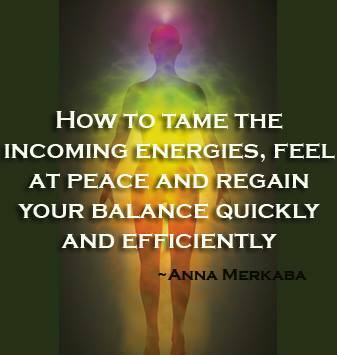 Thank you Anna for sharing your personal story and the steps to ‘release the trigger and let it go’. It was very helpful and I am sure it will help many others. The more I let go, the more I am free. Stunningly beautiful. Thank you so much for sharing your story, it resonates deeply with me as a reminder that our childhood experiences were very powerful and when we release the seemingly invisible hold they have over us… we invite in more peace and freedom. Many thanks, I have been struggling with this from the 19th and you helped me to understand it more clearly.